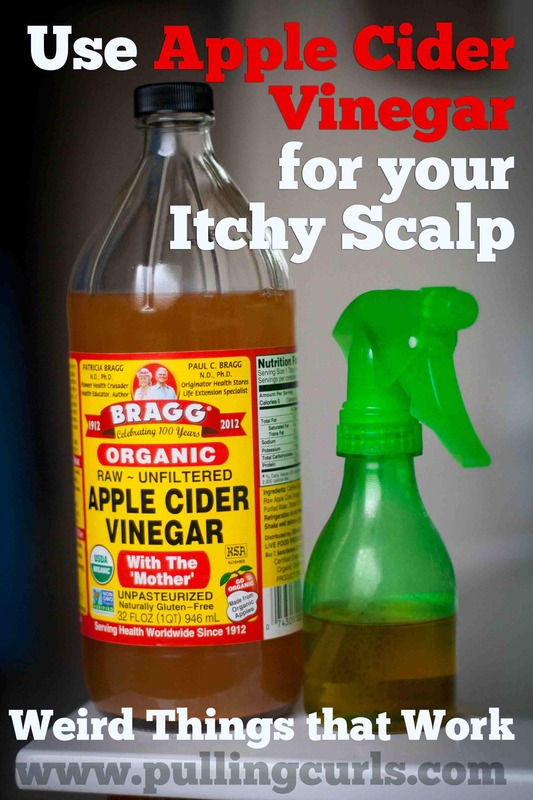 How can you use apple cider vinegar to help your itchy scalp?? 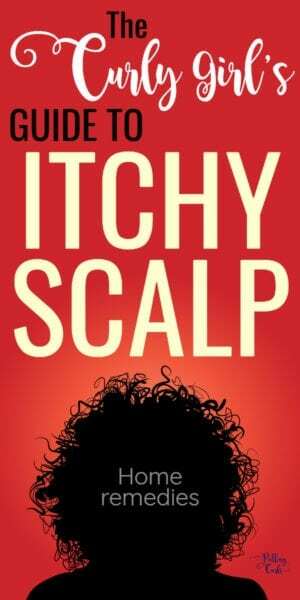 An extremely itchy scalp and neck cries out for treatment. It can be SO embarrassing not to mention annoying. 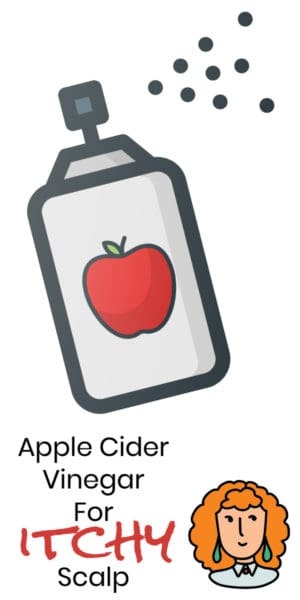 We’re going to talk apple cider vinegar, essential oils to help fix your itching head! I really could itch my scalp all day. I don’t create oil there. I could go WEEKS without washing my hair (except I’d have to cut it off since it’d be so snarled). I had tried T-gel but nothing seemed to work, now a combination of things seems to have it under control. I tend to itch most at the bottom of my scalp and even down onto my neck (sometimes I get dry patches on my neck that looks like I have symmetrical hickies — and believe me, my OCD would want them symmetrical — but no, we didn’t make out that morning, it’s just itchy patches). I have had a doctor check it out at work, they recommend hydro-cortisone and a thick lotion, which mostly works but I feel like that’s just putting something on top of it, not really fixing whatever my problem is. I just found a service that will analyze your hair and give you product recommendations at a great price. It’s GREAT if you really just can’t stand your hair right now and want to start fresh with some new products (that are right for YOUR hair). Save $15 with code pullingcurls15 on the “Total Hair Care Analysis” (regularly $89 — which is a lot less than other similar services!) 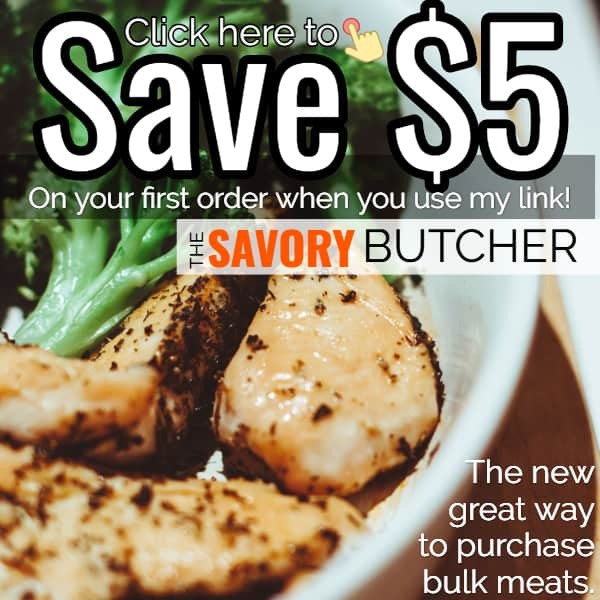 >> Check it out Today!!!!! Apple cider vinegar for your itchy scalp. I put apple cider vinegar (also known as ACV) in a tiny spray bottle and keep it in my shower. When I first rinse my hair I spray it onto my scalp/neck. I use it not as a fine mist, but as a stream at that point. The spray bottle I bought shoots it really well and it gets right onto my scalp. 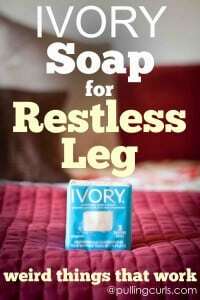 I then rub it around a little, and move onto other showering tasks. I figure the longer it can stay on the better, but I often have kids knocking on my door — you know how it is. I then quickly rinse it and then move on to conditioning (I don’t shampoo). Sometimes I dilute it 50/50 with water and also add a few drops of tea tree oil. That really helps. I think it’s probably the best for an itchy scalp. I first used Doterra, but the MLM thing bugged me. Now I use either Rocky Mountain Oils, or Jade Bloom. I think Rocky Mountain is a bit superior, but JadeBloom is cheaper which is why I listed them here. Sometimes, It does burn a little, but I don’t mind that as I just hope it’s working. It’s really helped. I no longer feel like I could itchy my scalp for hours on end and I’m not constantly bugged by it. I do it a couple of times each week, sometimes even when I don’t wash my hair I will spray my neck. After my daughter had Lice, I started to look into using tea tree oil more on my hair. I made a little concoction in a dropper bottle. I just take a full dropper and put drops on my scalp before I shower. Sometimes I remember the night before, or sometimes just before I shower. I massage it into the scalp as much as I can. **Tea Tree Oil Stinks! So, make sure you get it rinsed out well in the shower. **Under NO circumstances should you put the oils directly on your scalp/neck. I was super desperate last year and did this. It burned my scalp and then I had flaking scalp for a while…. make sure you dilute it. I find that when I use a sulfate-free conditioner, it helps my scalp not itchy so much. I am also very careful to make sure I rinse my neck well after I condition. I think that perhaps some of my itchy nape was due to not rising my neck adequately. I talk all about my current hair routine here. Does apple cider vinegar work for itchy scalp? Yes, I find that it does. I also find it helps with flaking and overall makes my hair healthier. Can vinegar kill head fungus? Yes, vinegar is a low pH which will kill head fungus and help balance out your own scalp’s ph. Can I leave apple cider vinegar on my scalp overnight? You can. I am not a fan as it is SO smelly, and honestly, I’m not sure that overnight would be much better than a few minutes, but try it — tell me in the comments if it helps! Can apple cider vinegar damage your hair? 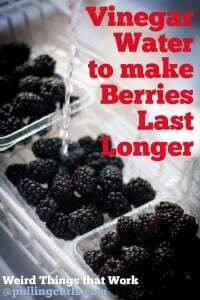 I’m sure if you dipped it long enough and entirely in a vat of apple cider vinegar it might start to strip oils, but as I mentioned in this article shold be fine. Does apple cider vinegar make your hair grow? 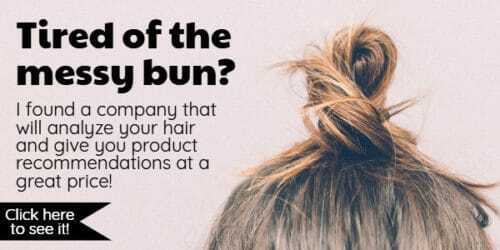 If you had a bad enough problem with head fungus, it may be impeding your hair from growing — so in that case, yes — but it’s not actually making your hair grow, it’s just keeping healthy conditions so hair can thrive! Does apple cider vinegar help with hair loss? Like I mentioned above — it can make your scalp healtheir, which can help make your hair less brittle, and seem like less hair loss. BUT, if you’re actually losing hair (going bald) due to a genetic trait, I don’t think apple cider vinegar will help with that. Does apple cider vinegar kill head lice? 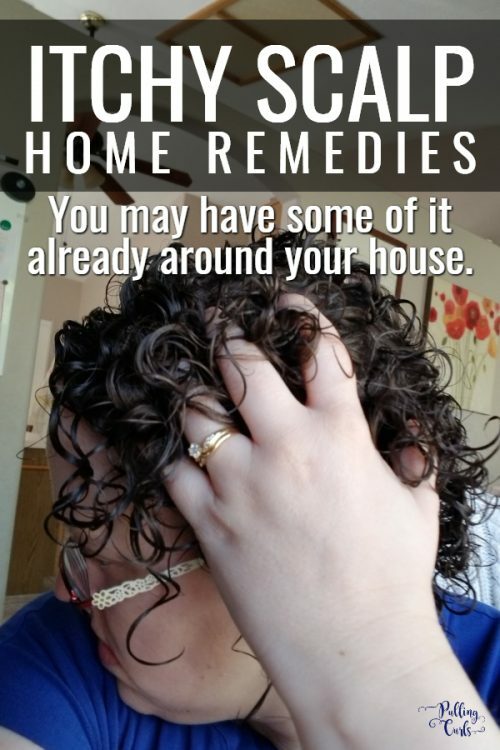 Not REALLY, no — but in my home remedies for lice post I talk about how it weakens the “glue” that holds the lice to your hair, making it easier to comb them out. Apple vinegar is one of the things we use to help lice! How often should I use apple cider vinegar on my hair? I use it every couple of weeks. Does apple cider vinegar clean hair? It can help clarify it and remove deposits from conditioners and other styling products. I like it for that as well! 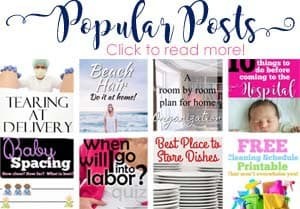 Like this type of post (using household items to make life better)? Don’t miss my essential oil blend that has saved us a ton! Also, be sure to check out my other weird things that work in this series. This post was originally written 2015 but has been updated. Vinegar, both apple and regular, is a magical liquid. I’ve heard of apple cider vinegar being good for various skin things, but didn’t know about this! 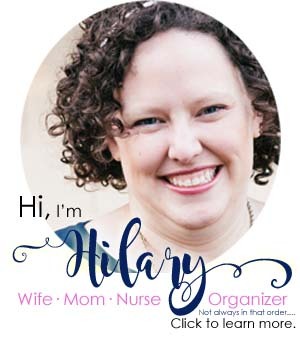 Hi Hilary, I found you on the Thrifty Thursday link party & wanted to invite you to another blog party – just for MOMS with blogs like you. No need to stick to thrifty articles – you can post about whatever you like. We’d love to see you at the Mom Blog Party! I can’t wait to try this. The winter always leaves my scalp itchy. Thank goodness for blogs. 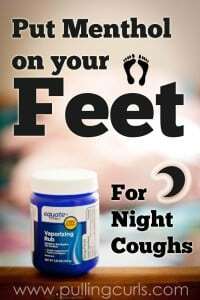 No doctor would ever recommend such a simple possible solution. Not sure what you mean by you are a “black woman in [your] hair follicles.” But anyway, this is probably caused by product or even conditioner residue that doesn’t get rinsed out when you wash. When curly girls wash their hair the product tends to settle at the nape of the neck if you are not thorough with your rinse. ACV is a known clarifying solution – in basically removes residue from styling products and shampoo/ conditioners. It also balance the pH on your skin. So it’s great to do every so often. Hmm…. I wonder if that is it — I’ll have to try it! Tips and treats to help save money (not to mention time which is better spent with family) are always great! I love your blog and look forward to reading more. the moment but I have saved it and also added your RSS feeds, so when I have time I will be back to read much more, Please do keep up the superb work. I have an itchy scalp too. I did an ACV with the Mother (unpasteurized) rinse and it really helped. Since my hair is dry, coarse, and naturally curly, I only used 2TB with 4 cups of water, left it on for a few minutes then rinsed it out after shampoo. No conditioner after I was surprised how soft my hair was, although the humidity did frizz it later in the day. Can’t have it all! I have used a mix on my face also. I’m liking it. Okay I tried this as my scalp is killing me and I am desperate. Now the burning I got (which to be honest I might have poured it directly on the scalp in desperation) however after shampooing and conditioning I feel like I still smell it. Did you have the smell afterwards?? It’s like it haunts me. Awesome! You should add a couple of drops of Rosemary to the mix too. It will feel even more awesome! My scalp is the same way (plus, I have that issue with my hands). I have a coconut oil base concoction that I use with lavender, melaleuca and rosemary essential oil for the rest of my body, but the coconut oil is harder to get onto my scalp and leaves my hair oilier feeling. I’m going to switch out the coconut for the apple cider vinegar and try that.